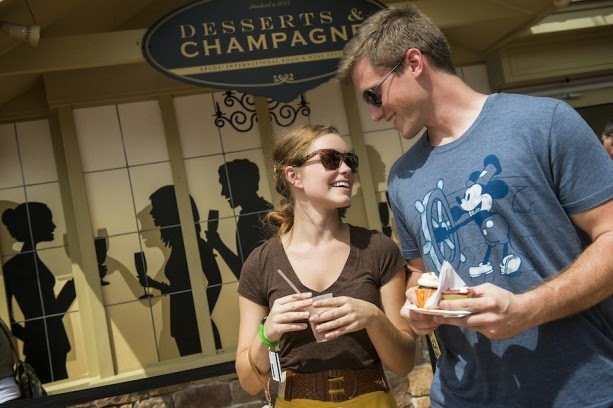 What could possibly be better than enjoying all there is to enjoy at the acclaimed Epcot International Food & Wine Festival? Enjoying it via the Ultimate Day VIP Tour! Begin the daylong festivities at the VIP Lounge hidden within the Festival Center at the Wonder’s Retreat. This special tour includes Champagne, a beverage tasting, six-course tapas-style lunch, wine, private backstage tours, time on some of the most popular Epcot attractions, food and beverage pairings with Disney chefs, VIP seating at the Eat to the Beat Concert Series, reserved seating for IllumiNations: Reflections of Earth fireworks spectacular and more. Whew! Sip, taste and enjoy as you travel World Showcase at Epcot. You won’t want to miss this extraordinary celebration of all things culinary, the grape and brew as your Disney VIP Guides accompany you throughout, highlighting special moments not everyone gets to experience. Occurring rain or shine Thursday and Sundays on select dates September through November, this private tour lasts six and a half hours and costs $399 per person (21 and up only). Call 407-WDW-TOUR (939-8687) for reservations. You can also access the online VIP Tour Services brochure here for more info.